Korea said Wednesday it will send more scientists to an international consortium for the building of a nuclear fusion reactor so as to help build its own clean energy facility down the road. The Ministry of Science and ICT said it will proceed with plans to raise the number of Korean scientists at the International Thermonuclear Experimental Reactor to 95 by 2026 from the current 32. The project currently employs 825 scientists from seven consortium partner countries. The ITER, being built in Cadarache, France, is an international experiment to see if a super-hot plasma field locked in magnetic confinement, and using naturally abundant tritium and deuterium as fuel, can create an artificial sun on Earth. If the project is successful, it could provide mankind with a limitless energy resource. Unlike light and heavy water nuclear reactors, a nuclear fusion reactor provides safer electricity as it produces very little harmful waste. Korea is a member of the ITER consortium together with the European Union, the United States, Japan, Russia, China and India. The EU must foot 45 percent of the total cost with other countries responsible for around 9 percent of the total each. Korea has invested 883.8 billion won ($824 million) in the project since 2003. Korea completed building the tokamak-typed nuclear fusion reactor, called the "Korean Superconducting Tokamak Advanced Research," in 2007 and has been conducting research projects to produce electricity. 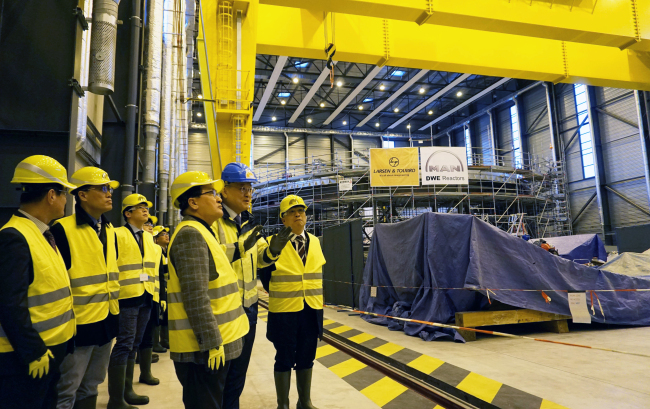 "It is important for us to allow more Korean scientists to join the ITER project, as the most important asset we can get from the project is manpower," a ministry official said.